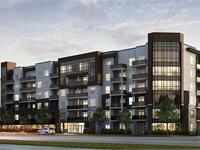 currently under construction at Plains Road East, Burlington. The development is scheduled for completion in 2020. 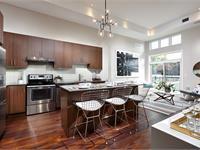 Sales for available units range in price from $362,990 to over $699,990. Affinity Condominiums has a total of 194 units. Sizes range from 575 to 1248 square feet. 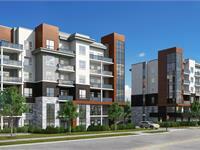 An inspired mid-rise condominium development in the revitalized community of Aldershot, in Burlington. 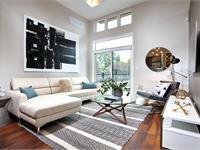 Thoughtfully-designed units make it a place to come home to, a place to relax the soul. Affinity is surrounded by tree-lined streets and steps to outdoor escapes, while equally linked to transit and urban areas. It blends the heart of the outdoors with the pulse of city. Smooth ceilings, painted white to all rooms within the suites. Private balcony or terrace each with one electrical outlet. Front entry and balcony doors feature satin chrome hinges and striker plates. Closets will feature vinyl-coated wire shelving with hanging rail. Individual electrical circuit breaker panel to each suite. White “Décor” switches and outlets throughout. Kitchen will receive contemporary LED track lighting. Great room, den and all bedrooms will receive a switched outlet. Bathrooms will receive a wall-mounted vanity light with frosted glass over mirror. Finished cable outlet in great room, all bedrooms and den, as per plan. Electrical outlet with integrated USB port in kitchen & master bedroom. Rough-in for security system in each suite. complemented with sleek satin chrome finished lever handles and hinges. contemporary look within the suite, as per plan. installed to interior archways with swing doors only and sliding closet doors. windows will also receive a painted wood/MDF sill. Interior walls, trim and doors are painted an off-white colour throughout. kitchen, great room, dining room, den, halls, and all bedrooms & closets. Excluding bathrooms and laundry rooms which have tile flooring. Metal edge is installed where ceramic abuts laminate flooring. Extended height kitchen uppers, offering 33% more storage. Extended breakfast counters, as per plan. Stainless steel finish hood fan with light, vented to the exterior. Contemporary, chrome finish single handle pull out kitchen faucet. outlet for stove and dedicated outlet for refrigerator. range and dishwasher. (All appliances are supplied and installed). Contemporary chrome finish, single handle vanity faucet with pop up drain. Integrated contemporary floating open shelf below the full width vanity mirror. Ultra-Modern, high-efficiency white toilet with elongated bowl. Contemporary, chrome finish towel bar and tissue holder. All sink faucets and toilets are fitted with shut off valves. Exhaust fan features a “low sones” rating (sound) and are vented to the exterior. to the ceiling height of the tub enclosure offering a clean sleek finish. White acrylic soaking bathtub with contemporary lines. White laundry room appliance package includes stackable washer & dryer. Convenient recessed box for the cold & hot water & drain connections. Heavy duty electrical outlet for dryer. Dryer vented to the exterior. without providing notice to the purchaser, provided they are equal or better. touches to your Affinity Condo. Your inquiry will be delivered to the Affinity Condominiums sales team, who will send you more information about this development.